Today’s featured mixologist is Taylor Hall, of McCoy's at the Fort Lauderdale Marriott Pompano Beach Resort & Spa. When Taylor started working in Pompano Beach, the hotel’s cocktail menu consisted of just 12 frozen drinks. Guests were sticking to the daiquiris; nothing seemed fresh or exciting. She wanted locals and travelers alike to experience something one-of-a-kind at McCoy's, the on-property oceanfront bar. Having worked closely with the chef of a specialty restaurant at her last position, Taylor began pairing food with exceptional drink to create an authentic culinary adventure. Combining her passion to create something refreshing for sipping by the pool and her love for St. Germain Elderflower liqueur was how Taylor came up with the Harlemese Sangria. The fresh fruit and sweet floral accents give this drink a taste of Florida sunshine that can be enjoyed any time of day. 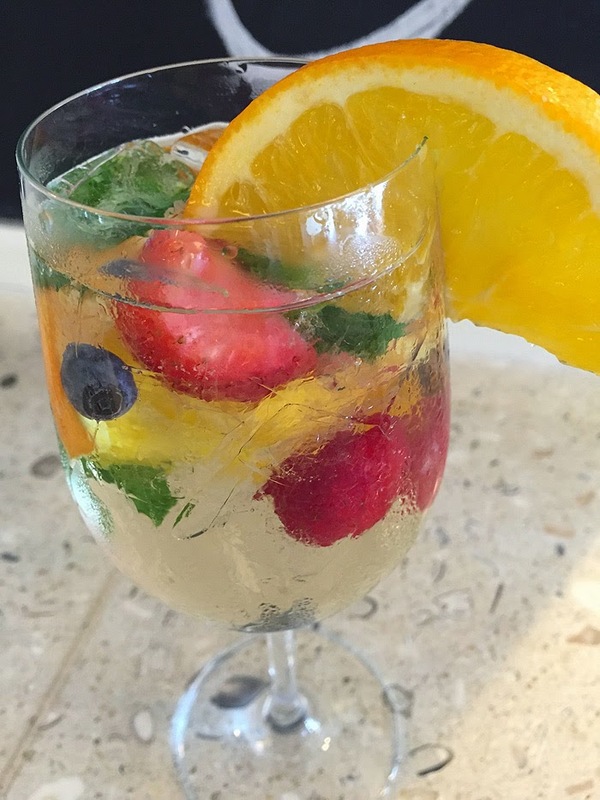 In an ice-filled wine glass add fruit and mint. Pour in St. Germain and Reisling and top with soda water. Sounds refreshing - I've never tried elderflower liqueur before! This sounds great, and definitely something to remember. I've been wanting to pick up a bottle of elderflower liqueur for a couple of years now (and still haven't) - I really want to try it! I have to admit I've never tried elderflower liqueur but this cocktail sounds so refreshing that I certainly want to pick up a bottle soon. I want to sip this while I swim in it. If that's wrong I don't want to be right. St. Germain is my favorite! I love the subtle flower flavor and I bet it pairs deliciously with fresh fruit....yum!